Neighborhood Groups Are Where It’s At! An excellent resource for every ASG Member is the neighborhood group meeting. Not only are there are ton of options to meet your schedule, but the topics are wide ranging. This allows every one of us to dip our toes into unfamiliar territory in this ever changing world of sewing and crafting. Here’s a few of the items members brought to discuss. In the realm of sewing resources – we discussed two books. The first is the Bishop Method of Clothing Construction by Edna Bryte Bishop. This book is very useful, especially for a beginning sewer. It was published eons ago, so you know it’s got to be good! It even includes a handy point system for dressing smartly. The second is Power Sewing Step by Step by Step by Sandra Betzina. The member that brought this resource touted the fly front zipper instructions and even showed examples of how well that method works for pants. By the way, both of these books have 5 star ratings on Amazon. Another idea was how to store your sewing machine needles. A perfect solution is to take a 3-ring binder and use a plastic business card holder insert. The inserts that are traditionally used to store business cards, easily accommodate sewing needles. This is a safe way to organize your needles and still have them at your fingertips when needed. Sewing notions were definitely a topic for discussion. The Clover Double Tracing Wheel is a plus for making fitting adjustments or sewing any pattern without a seam allowance. 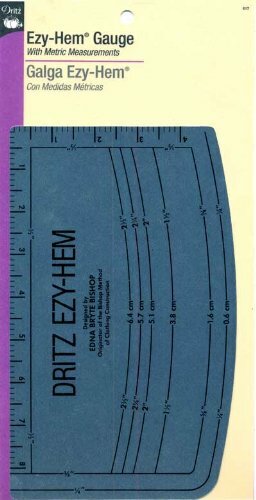 And my personal favorite was the Dritz Ezy Hem. 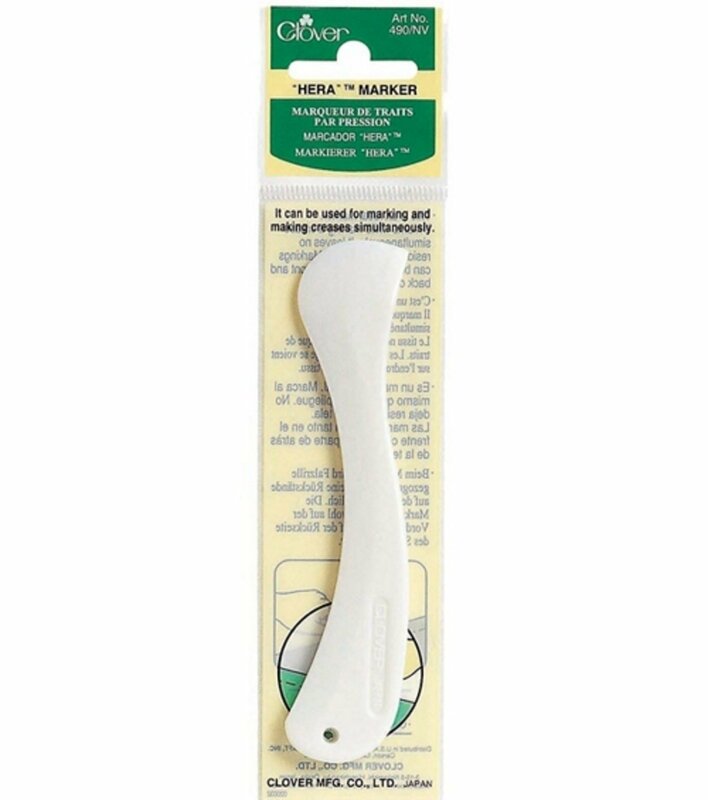 This little tool makes pressing up a hem very easy and a lot less time consuming than pinning the hem and then pressing it. Overall it was one of those nights where we ran a little long, but no one seemed to mind. The discussion was rich and a great time was had by all. If you’re new to ASG, or quietly stalking to see what the American Sewing Guild is all about … attending a neighborhood group meeting may be a little intimidating. But I can personally tell you … DON’T BE! The neighborhood group leaders are welcoming and they are so happy to have you there. The members are some of the sweetest people I know, and they are so willing to help and share their knowledge. If you’re interested in growing and learning more, an ASG neighborhood group is a great way to plug in. If you’re already a member and have a neighborhood group you love, feel free to brag about them in the Comments Section below! Or email me at nisha[dot]Williams[at]msn[dot]com. Maybe you’re like me and attend multiple group meetings. Do you have a favorite? If so, share why! Each of the books and notions mentioned in this post are available on Amazon. For more information on any of these items, click on the Amazon link on the ASG home page, it benefits the Guild greatly. Next Next post: Mark your Calendars for these Upcoming Events!